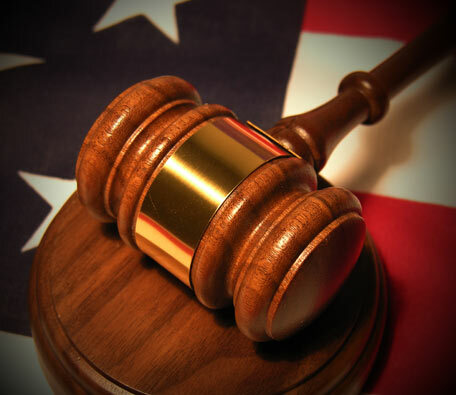 American Heritage University School of Law (AHUSOL) was established in 2004 with the interest of the adult learner in mind that could not complete an educational goal due to unforeseen circumstances. AHUSOL stands out as one of the few reputable distance learning law schools in California for its passage rates on the First Year Law School Examination (FYLSX) and General Bar Examination (GBE) in recent years. Our mission is to provide quality, affordable, legal education to qualified individuals, wherever located, using the most effective educational technology available. The primary objective is to educate and prepare students for the legal profession. Our online law degree programs enable students to study and practice law utilizing modern technology and we also prepare our students to secure employment upon completion of their programs. The cost of completing the four year program at AHUSOL provides a unique opportunity for students to become free from huge financial debt after law school. AHUSOL sacrificially accepts low tuition to make a dream come true for the ordinary law school student to get a Juris doctor degree and also practice law in California with their counterparts in the ABA schools or simply earn a promotion at an existing law-related career. AHUSOL is registered with the Committee of Bar Examiners (CBE) of the State Bar of California as an unaccredited distance learning law school. At the completion of the Juris Doctor (JD) program, the graduates can sit for the California Bar Examination and upon successful completion, can practice law in the State of California and Federal Courts in the United States of America. The Juris Doctor student is required to complete 104 semester units in four years to graduate. It must be emphasized that the student enrolled in this program must pass the First Year of Law School Examination (FYLSX) otherwise known as the "Baby Bar" to proceed to the remainder of the program unless such student transferred from an accredited law school. We equally prepare students with an understanding of the basics of legal theory and practice so that they can acquire a firm foundation in the law as it functions in business, government and society in general. We also prepare students for a career in law, legal research, law enforcement and corporate legal department or insurance. Our ultimate goal is to ensure satisfactory completion of the Juris Doctor Law degrees to fulfill an accomplishment in life. Provide adult students with an understanding of the basics of legal theory and practice so that they can acquire a firm foundation in the law as it functions in business, government and society in general. Prepare students for a career in law, legal research, law enforcement and corporate legal department or insurance. Satisfactory completion of a JD degree. The administrative staff are beyond supportive and I am very confident that it is because of the changes that have taken place that I am being able to progress in this arena. I am finally loving school & actually catching on. I am excited and proud to be a student of AHUSOL and looking forward to receiving my J.D. and passing the Bar! This is a one of a kind university where the faculty creates a caring environment where the students do well and succeed. They act expeditiously with all requests and are really concerned. I am very happy to be a law school student.